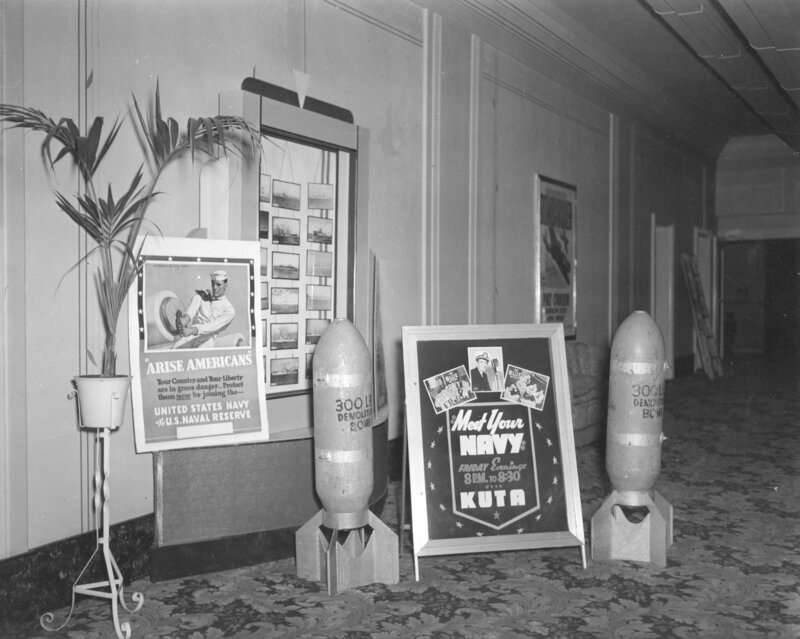 Description 26002 KUTA Uptown Theater lobby, Navy display, Nov. 5, 1942. Shipler Comm. Photog. #35219.